1894 born in Hadfield, Derbyshire (O/N/D vol 7b, page 817) 1901 Census living at 48 The Avenue, Hadfield, Glossop aged 6yrs. 1914 Attestation, living at 178 Worksop Road, Handsworth, Sheffield with Mother Lizzie who is buried at St Peters Fairfield, Donald is remembered on the Grave. 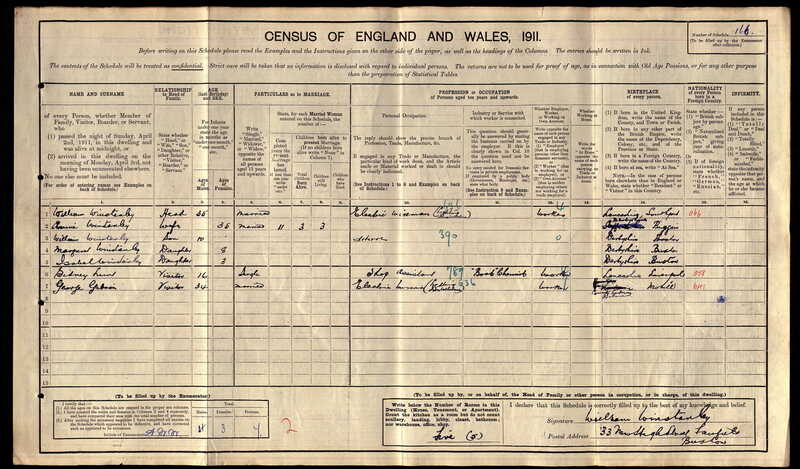 1892 born in Wincobank, Sheffield, Yorkshire, 1901 Census, living in Wadsley Bridge, Hillsborough aged 9yrs. 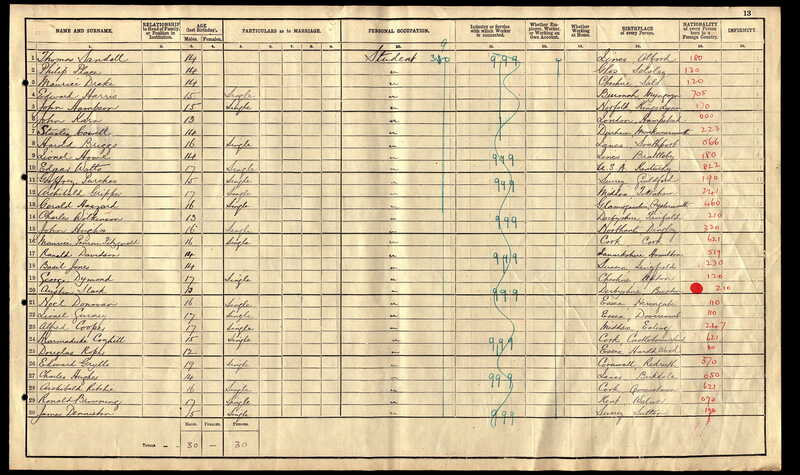 1911 Census living at 6 Wansfell Road, Grimesthorpe aged 19yrs, working as a Steel & Iron Turner. 1916 Married Florence Simpson of 79 Windsor Road, Fairfield (vol 7b, page 1622). 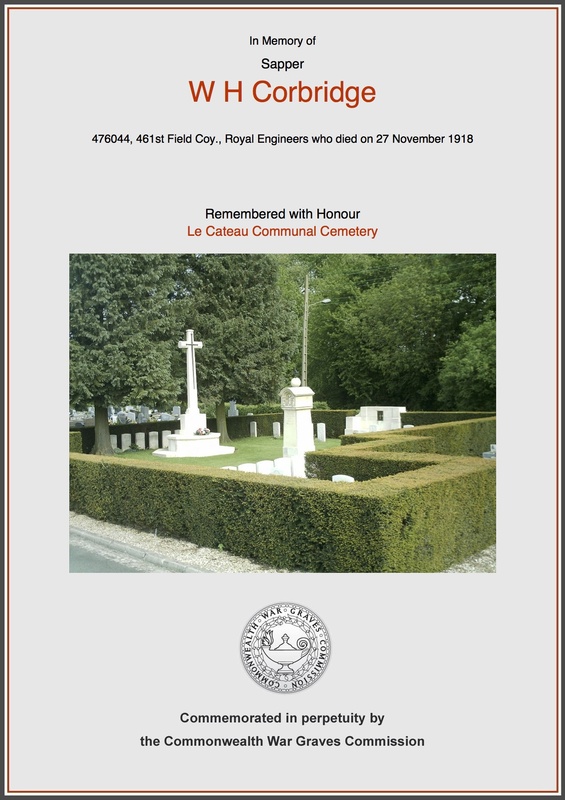 Sapper Corbridge has succumbed to pneumonia and was buried in France. 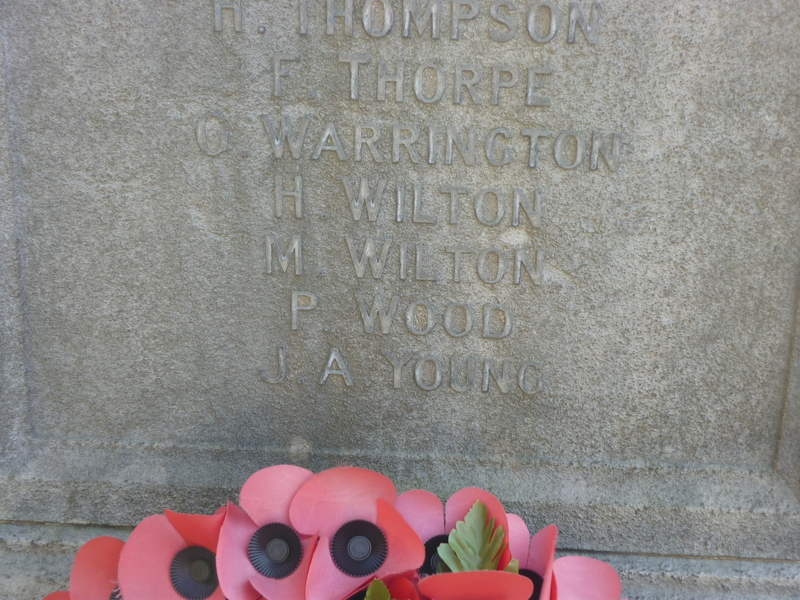 He had fought through the war, and it was hard that he should “ go under” after the Armistice had been signed. It will be remembered that Sapper Corbridge was married to Miss Simpson daughter of Mrs Simpson, of 79, Windsor Road, at St Peter’s Church. Mrs Corbridge at one time assisted Mr Franklin Barlow of Spring Gardens and is now acting in a similar capacity. Sympathy will be expressed to her in her bereavement. 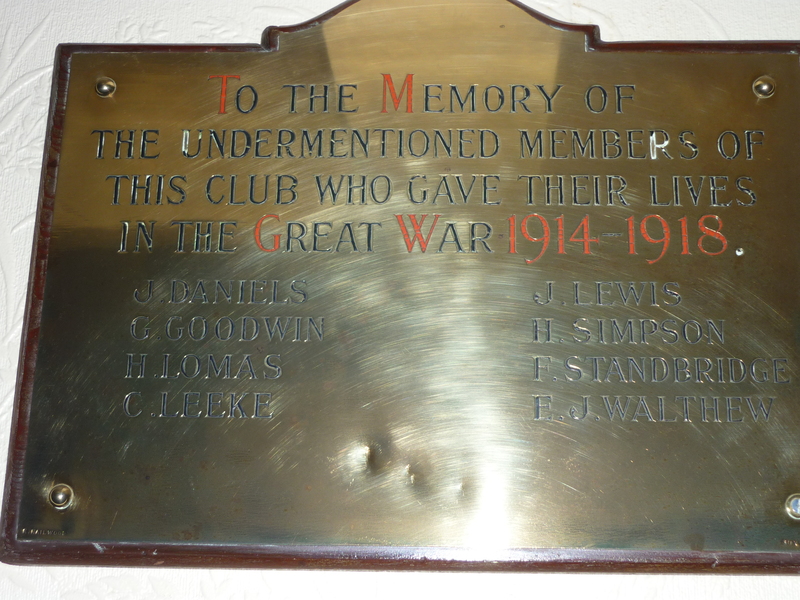 J Lewis is named on the Memorial in the former Conservative Club, however it has so far been impossible to trace him. 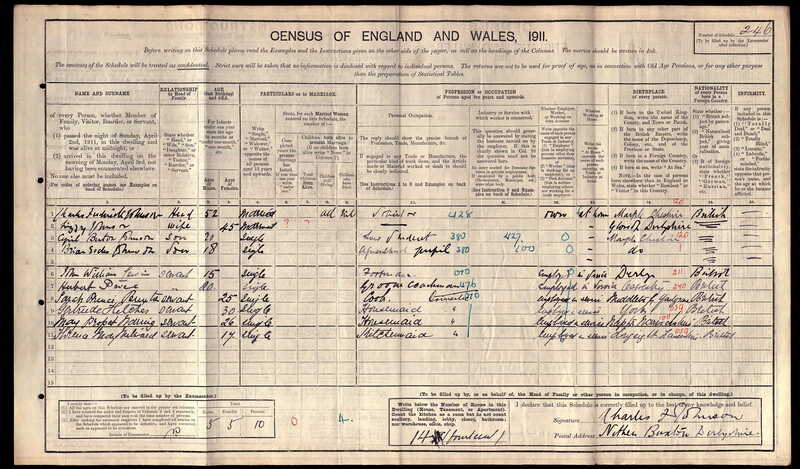 In the 1911 Census a John William Lewis aged 15yrs born in Derbyshire approx 1895/6, was working as a servant/footman, for the Whisson Family? living at Nithen, Buxton, Derbyshire, which was in the Parish of Fairfield. There is also a John Lewis aged 19yrs, born in Buxton 1892, living in Ecclesall, Sheffield, with his Father John Lewis & his Grandmother Elizabeth. John was working as a Merchants Clerk. Clements name is on the Memorial. 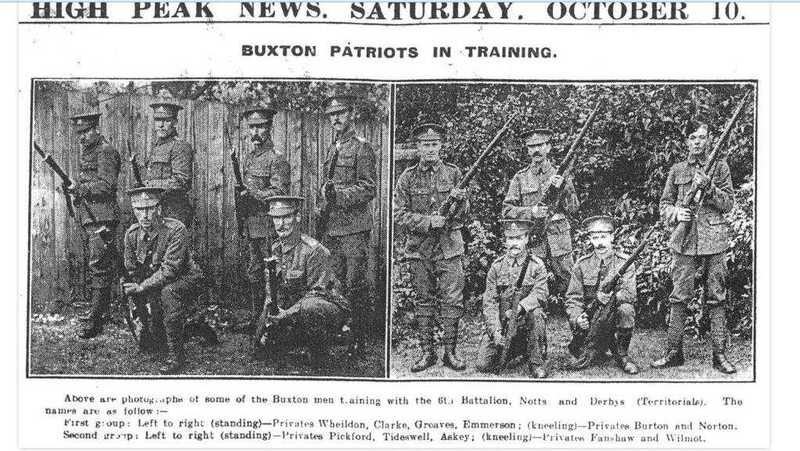 Photograph from Buxton Advertiser Saturday April 10th 1915. 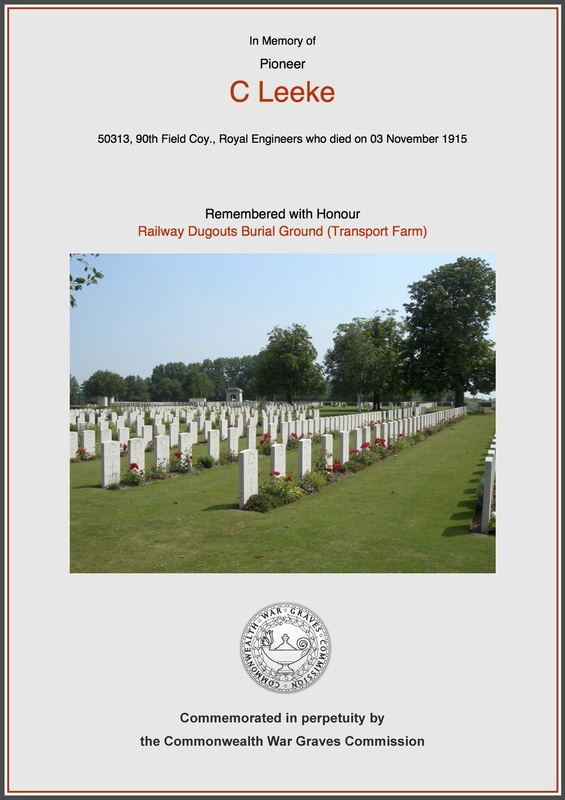 Born 1881 in Crewe, Cheshire (vol 8a, page 313 O/N/D) 1896, Clement was an apprentice on the Railways in Crewe. 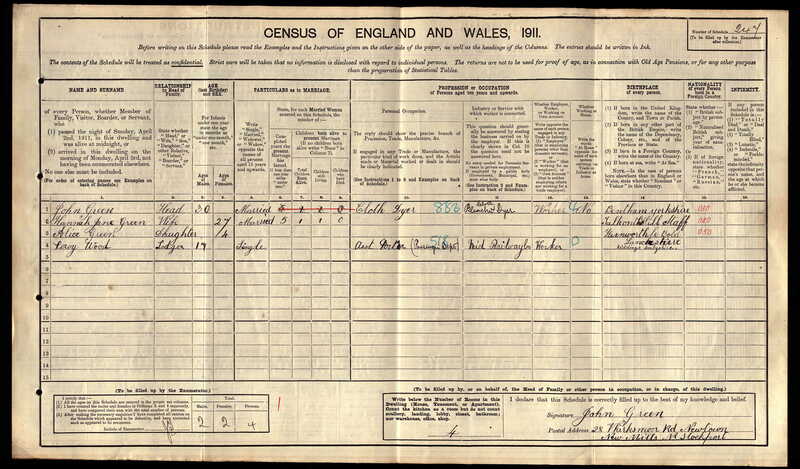 1901 Census he was living at 153 West Street, Coppenhall, Cheshire, still employed on the Railway. 1908 Clement has now moved and is now employed on the Railway in Buxton, Employee Number 4077, he has worked on the Railways for 12 1/2 yrs, his character is fair, and his ability is good. 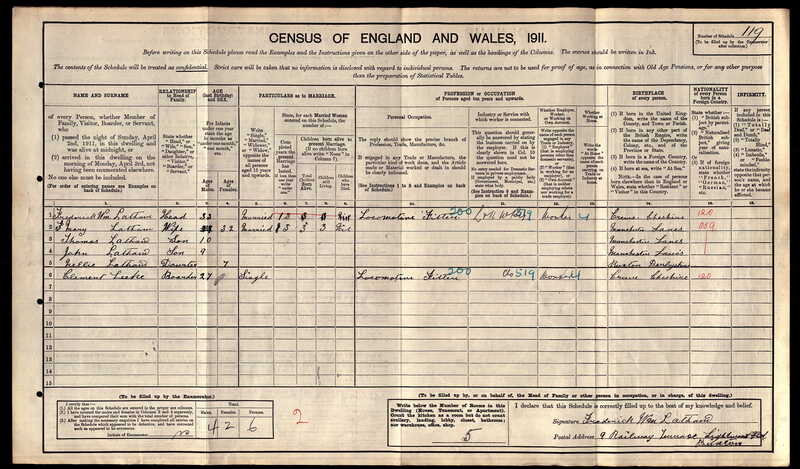 The 1911 Census and Clement is living at 9 Railway Terrace, Lightwood Road a boarder with the Lathem family, employed as a Locomotive Fitter. 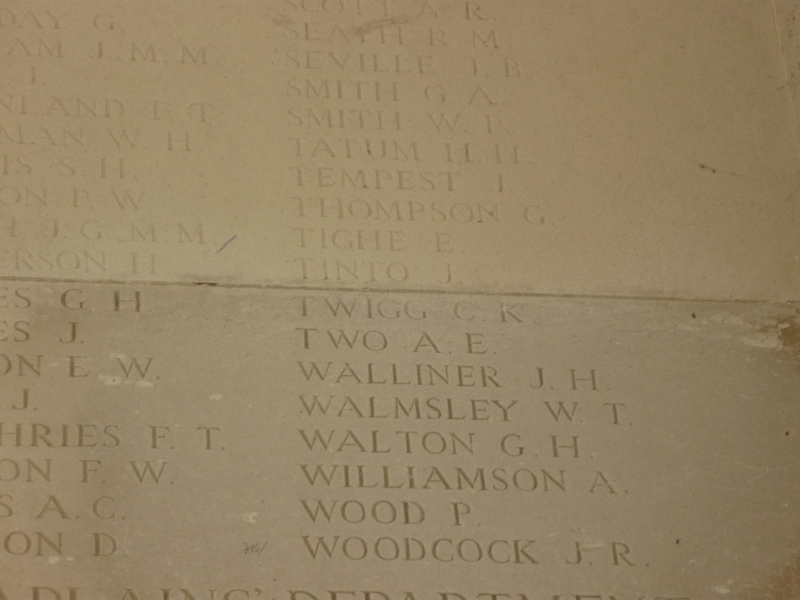 Ernest’s name is on the Memorial. Born: 1876 Heaton Norris Stockport. Vol 8a Page 32 A/M/J Qtr. 1881 Census: Living at Didsbury Road, Heaton Norris aged 5yrs. 1901 Census: Living at Heath House, Stockport Road, Cheadle with wife & 2 Servants aged 25yrs. Occupation: Cotton Spinner & Doubler employer of people. 1911 Census: Living at Green Moor, Fairfield aged 35yrs now retired. 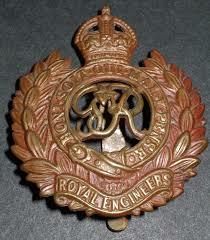 1914: Volunteered for the Royal Engineers Territorial Forces. 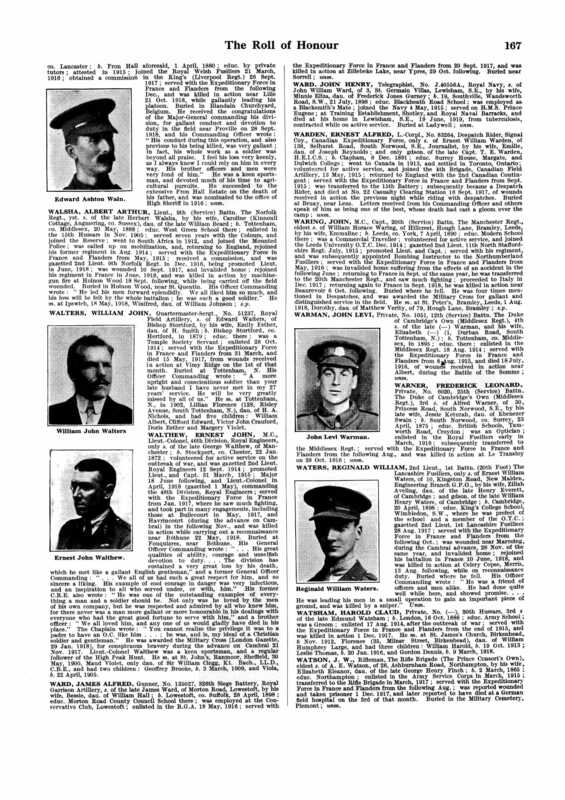 1918: Died whilst making a reconnaissance. 1919: Probate left £ 27.486.5s.9d to widow Maud. Report of death in Buxton Advertiser. 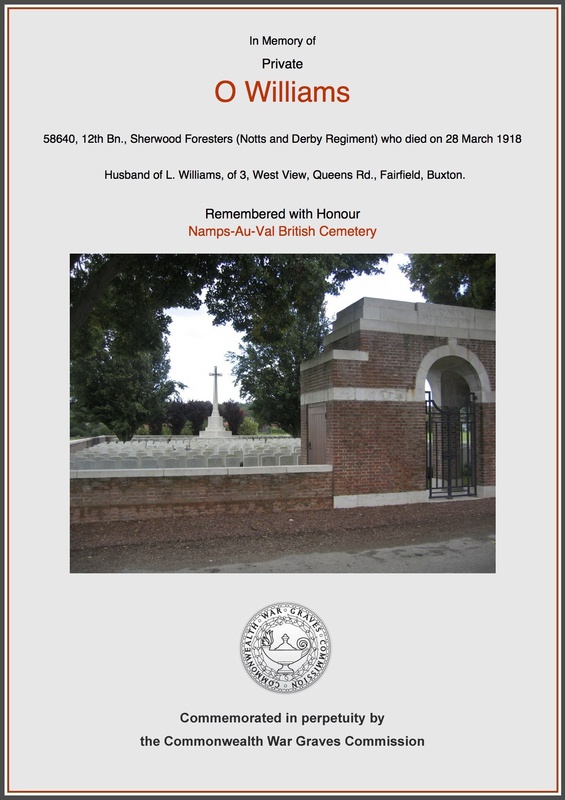 It is with deep regret we announce the sad news that Lieut-Colonel E J Walthew, Royal Engineers, who was attached to the Sherwood Foresters, has fallen at the front. 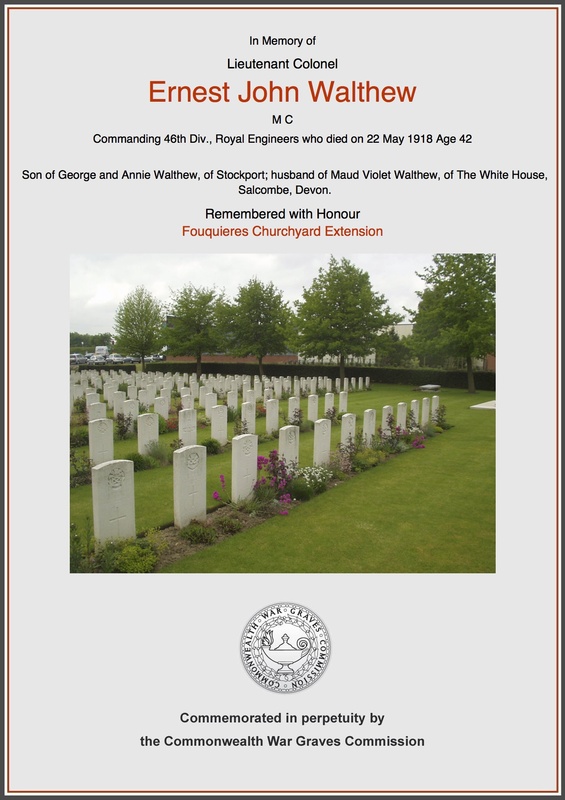 It was in May 1915, that Lieutenant Walthew who it will be remembered married Miss Maud Clegg, daughter of Sir William Clegg, of Sheffield, left that city with the local engineers. 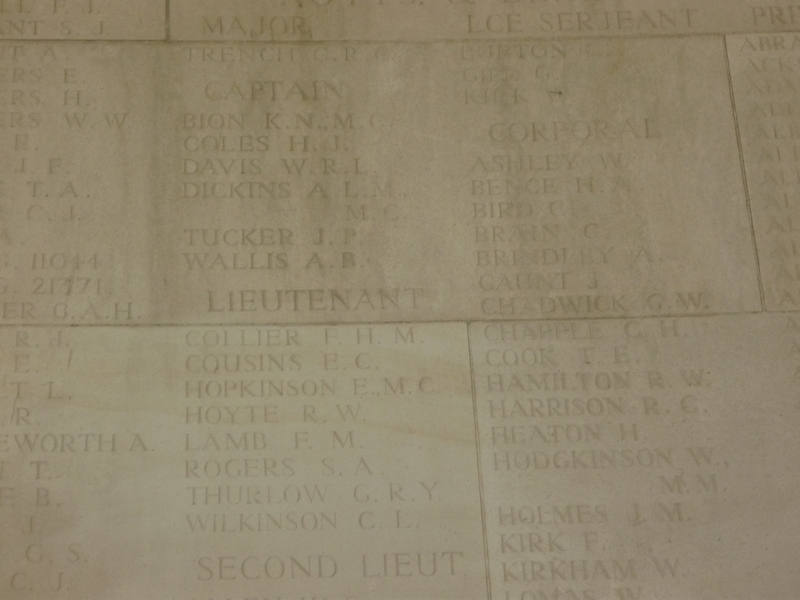 In the succeeding month he was preferred to the rank of temporary Captain, and in 1917 was raised to the rank of Major. 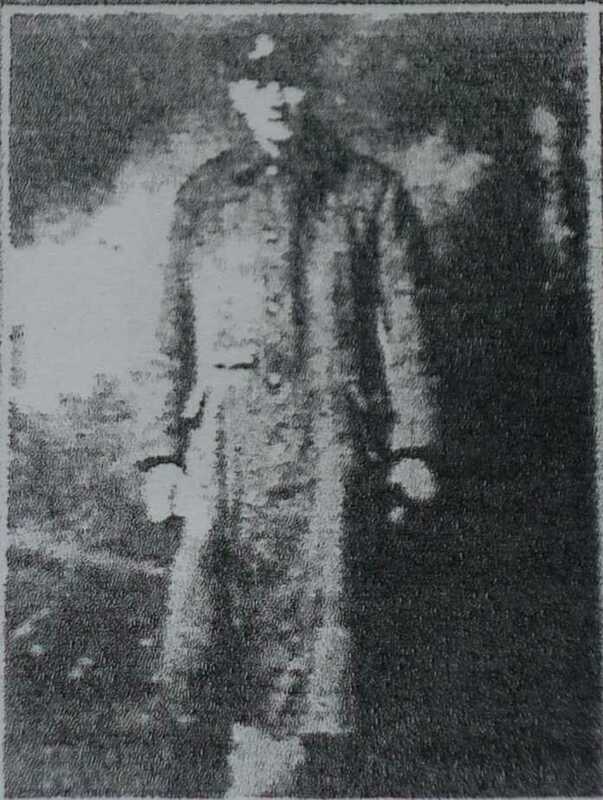 Then in January of this year (1918) he, for bravery on the battlefield, was awarded the Military Cross and later promoted to a lieutenant Colonel. It is only lately that Colonel Walthew received an appointment to Divisional Headquarters and it was while discharging his duties there that he met with an instantaneous death. With his widow and two daughters great sympathy is expressed in the very sad bereavement they have been called upon to bear. The deceased officer was well known in Buxton, where he resided for some years, and made lots of friends. He was a man of most affable disposition, cheery and optimistic, and took a great interest in local affairs. In April 1910, he was elected a member of the then Buxton Urban District Council, and continued in that capacity until 1914. Colonel Walthew was then member for east ward. 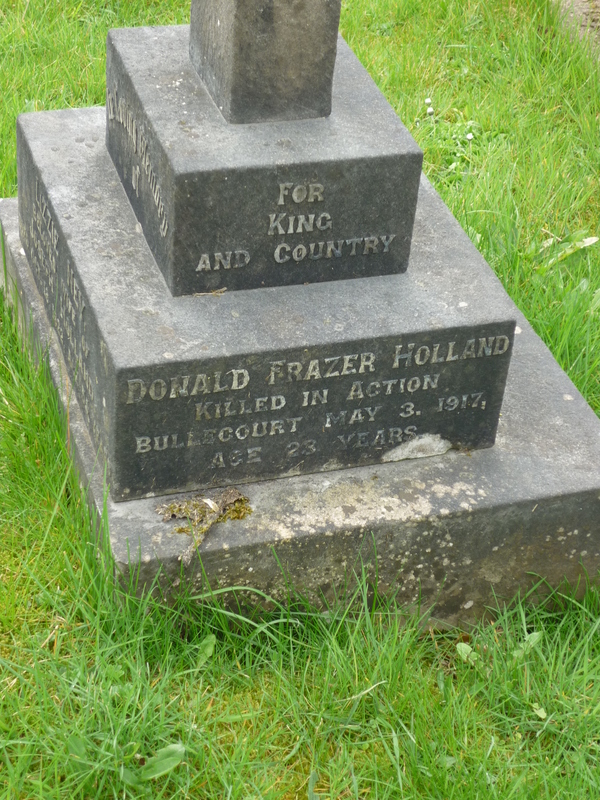 Deceased performed most useful work on the Finance, gas and Water, Sanitary (of which he was chairman in 1912-13). Baths and Pump Room, Advertising and Free Library Committee. He likewise held high office in the Buxton Lodge of Freemasons (1688), a prominent member of the Conservative party, he was a real worker in the cause. It can with safety be said that his untiring efforts were due much of the extensive progress made in this division. 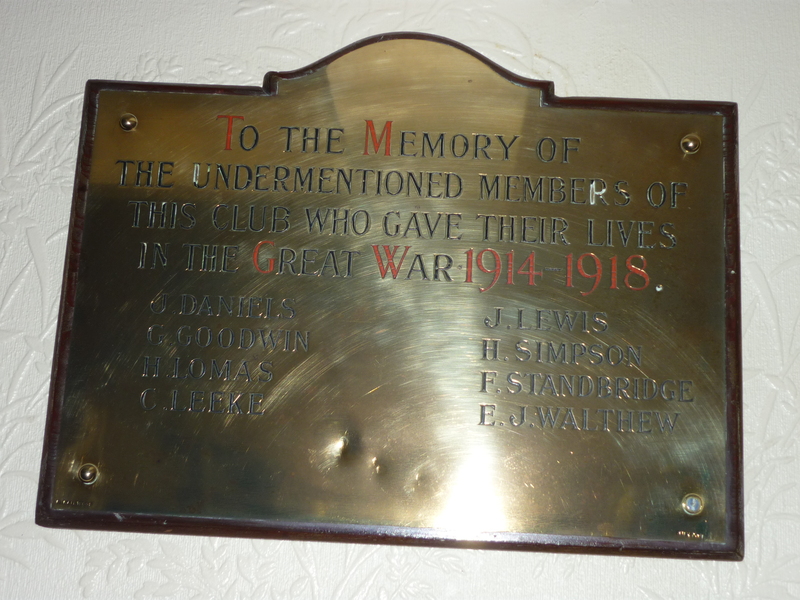 Amongst the numerous other public offices so ably filled by the late Colonel was that of the membership of the committee of management of the Devonshire Hospital, and he was also connected with the Union Club. A sportstman Colonel Walthew held an enviable reputation. he was a keen follower of the High Peak Hunt, and also discharged the duties of secretary to the Hunt Steeplechases, his horse ‘Wiseman’ will be remembered by sportstmen as the winner of the Point-to-point Steeplechase in 1912 and in 1913 the success was reported. The owner of the winner of this event held the Hunt Challenge Cup for one year succeeding each success. He also presented the Walthew Sheild for competition between the Buxton and Fairfield Constitutional Clubs. Afterwards the deceased left Buxton and went to reside at Churchdale Hall, Ashford. Mrs Walthew became the first commandant of the Bakewell Red Cross Hospital and envinced the greatest interest in the good work. This she continued until removal to Devonshire where she and her daughters now reside. To say that Colonel Walthew will be greatly missed is to largely understate the facts, he leaves a vacant place in our social life which with only the greatest difficulty will be filled. 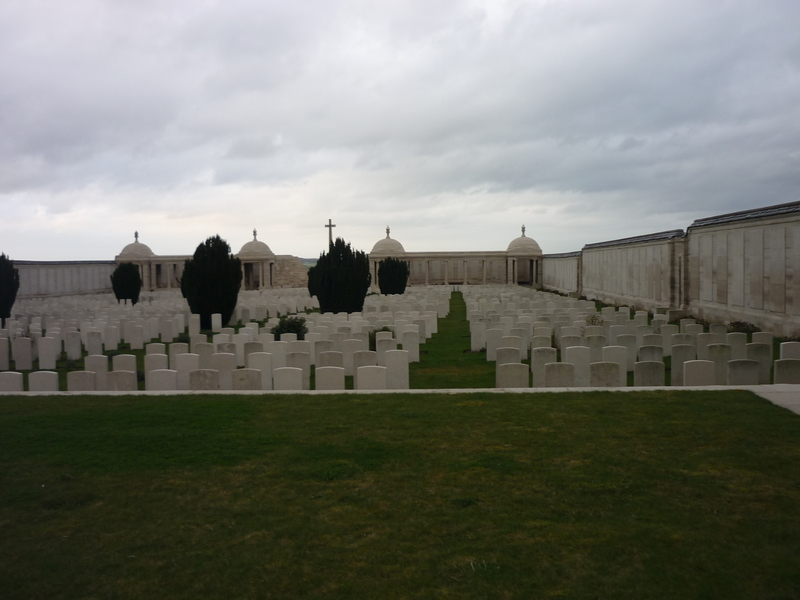 Arras Memorial 2014 (Bay 10). 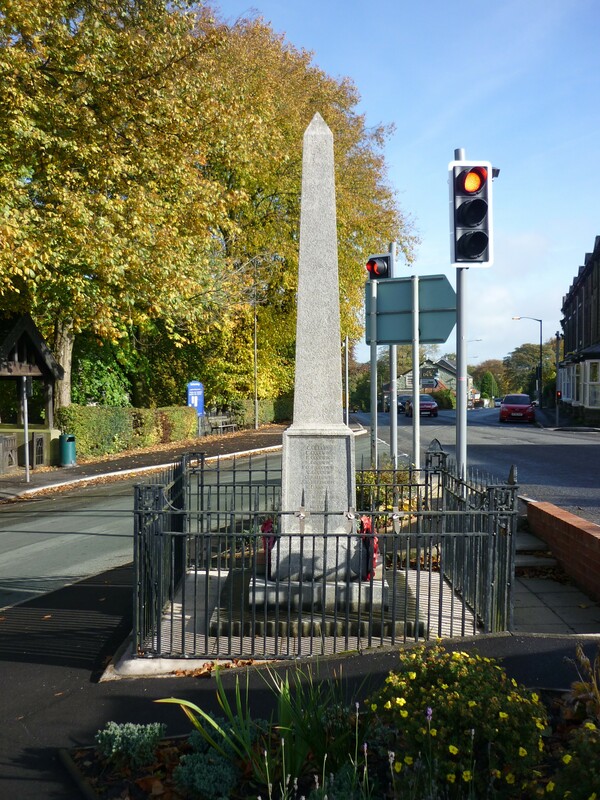 War Memorial at Burbage, Buxton. Percy is remembered on the Burbage, St Peters and The ‘Slopes’ Memorials. 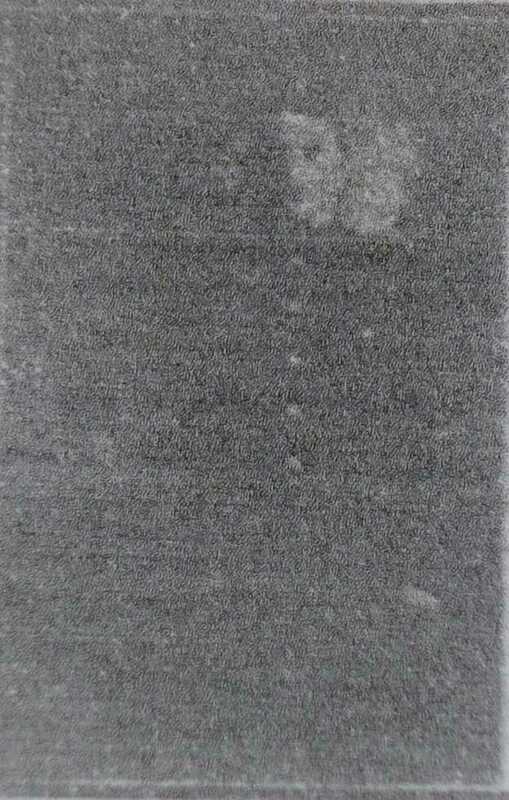 Born: 1893 Riddings registered Belper Derbyshire Vol 7b Page 621 O/N/D. to parents Joseph & Esther Wood. 1901 Census: Living @ South Street Riddings aged 7yrs with younger sister Ethel. 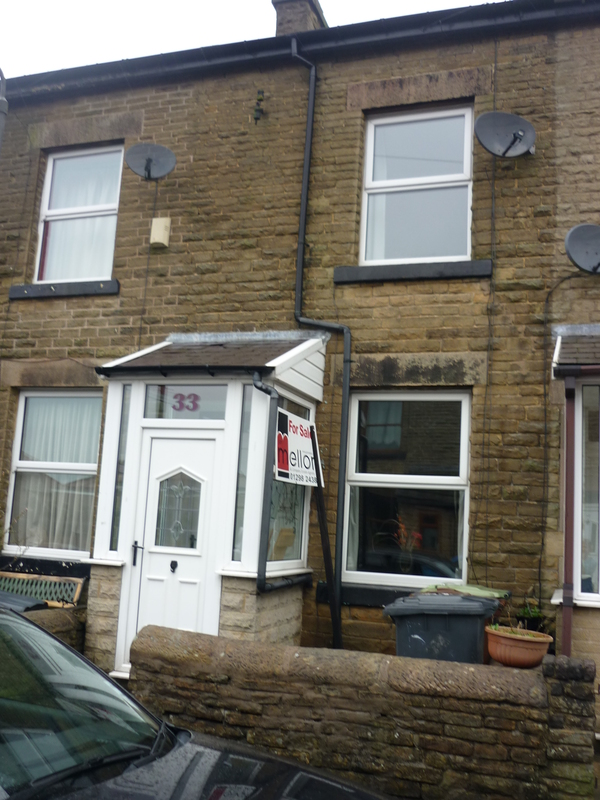 1911 Census: Living @ 28 Wirksmoor Road, New Mills Derbyshire Aged 17yrs. Lodger. (1911 Parents living at Fox’s Yard Fairfield). Percy’s occupation is as an Assistant Porter for the Midlands Railway. 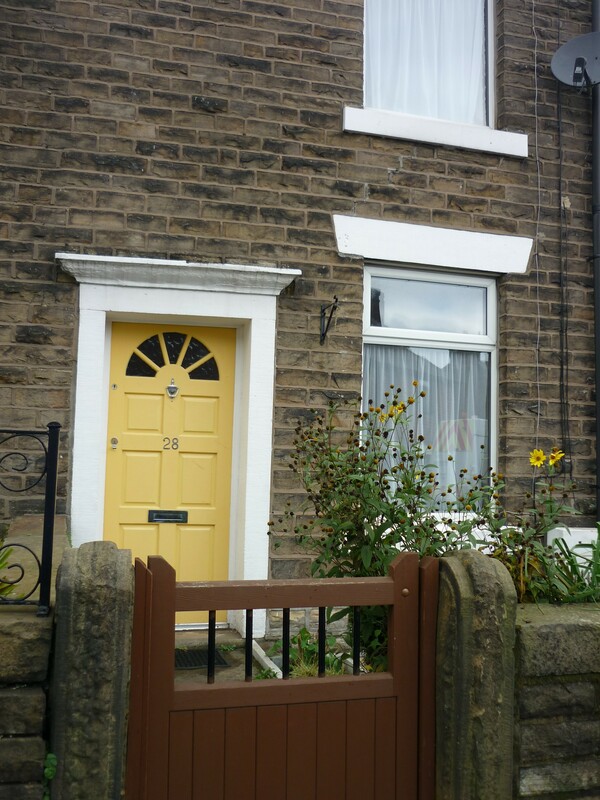 1911 Census living at Wirksmoor Road New Mills. 1917: Marriage to Ellen (Nellie) Brindley from Burbage. 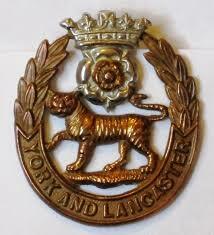 The deepest regret was felt last week-end over a wide neighbourhood when it became known that Pte. Percy Wood had been killed in action. 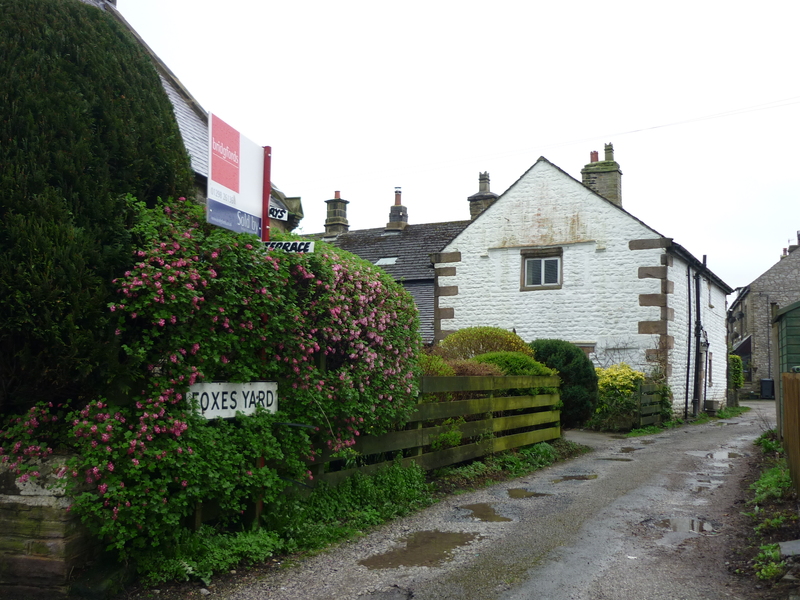 He was the only son of Mr & Mrs Wood, Old Hall Cottage, Fairfield, and in October last married Nellie, the eldest daughter of Mr & Mrs James Brindley, Lime Terrace, Burbage. 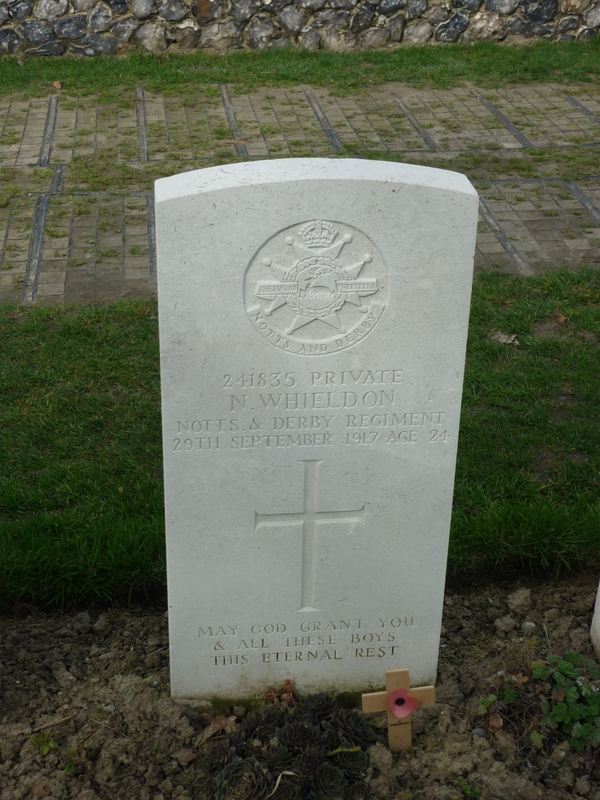 Our fallen friend joined up soon after the outbreak and had 3 ½ years in France with the Field Ambulance. The following extracts from letters support the testimony received from many quarters paying tribute to the high character of the deceased. Lieut. 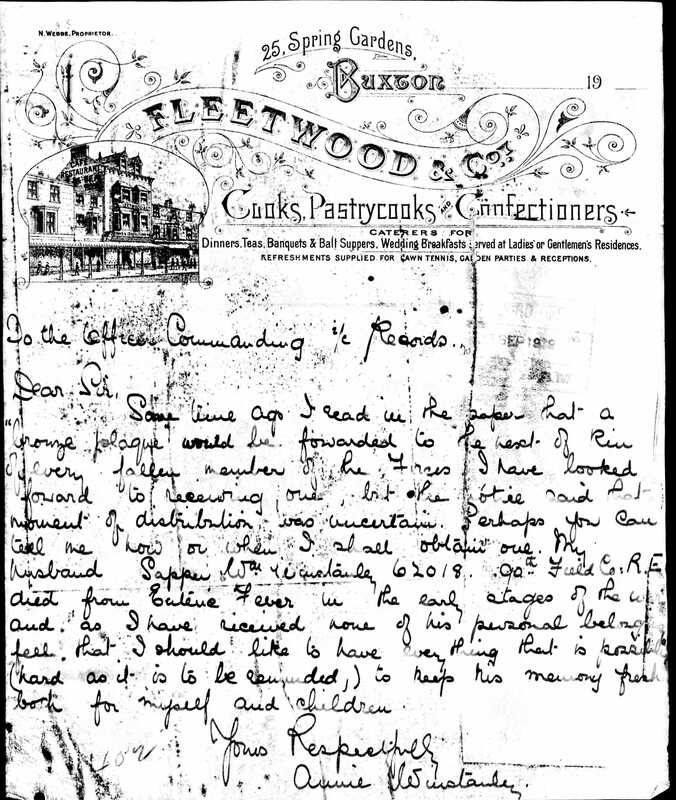 R A Preston writes: “Dear Mrs Wood, – I am sorry to tell you that your husband, Pte Percy Wood. 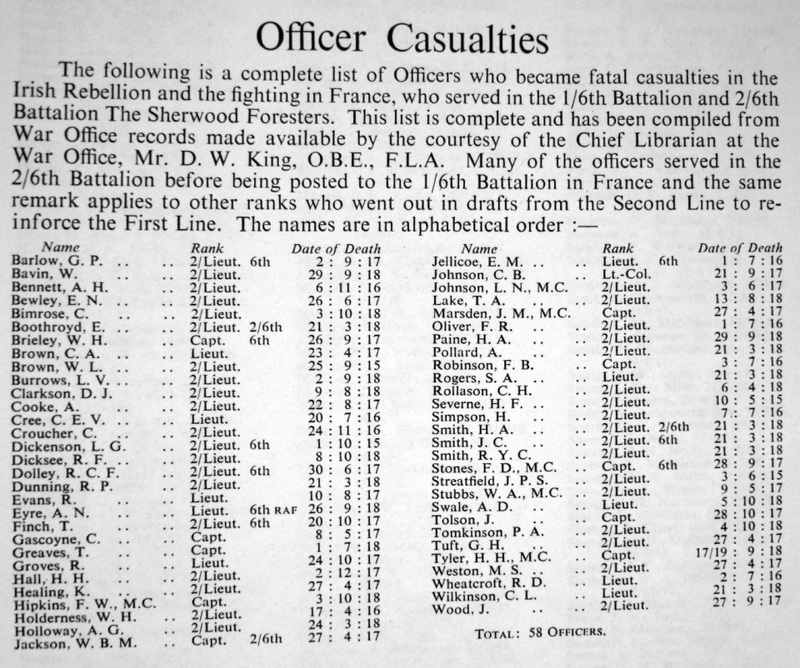 R.A.M.C., was killed in action on March 24th. 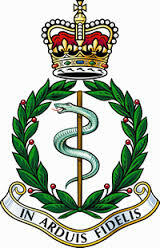 I take it you have already heard officially from the War Office, but I wished to express to you my deepest sympathy and all that of his comrades in the Ambulance. He was killed instantaneously by a shell whilst carrying wounded through a heavy barrage. 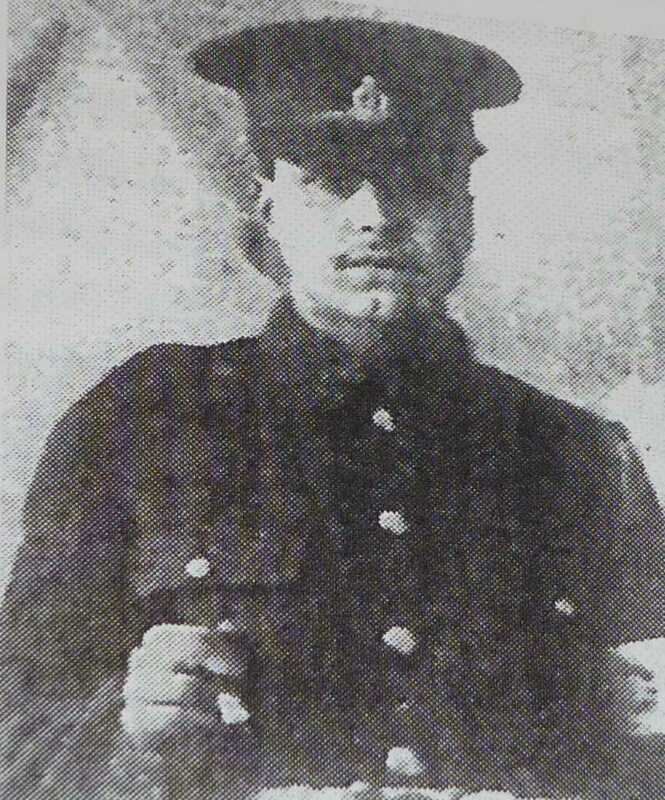 You will, at least have the satisfaction of knowing that he died as a brave man should.” A friend of the fallen soldier, Pte Jumelville, in the course of a letter of sympathy to Mrs Wood say’s:- Percy and I were the greatest of friends until the hour of his death. He was greatly liked by all in the Ambulance, and his death is a big blow to all of us, as he was ever ready to render his services to help his fellow comrades. Please accept the sympathy of all of the 58th Field Ambulance and convey the same to his sorrowing parents. Percy died a hero’s death, taking his part for the course of his country, for the triumph of right over might. Deceased was formerly employed on the railway. We beg to tender the young widow and parents, on behalf of a large number of friends and acquaintances, heartfelt sympathy in their great loss. 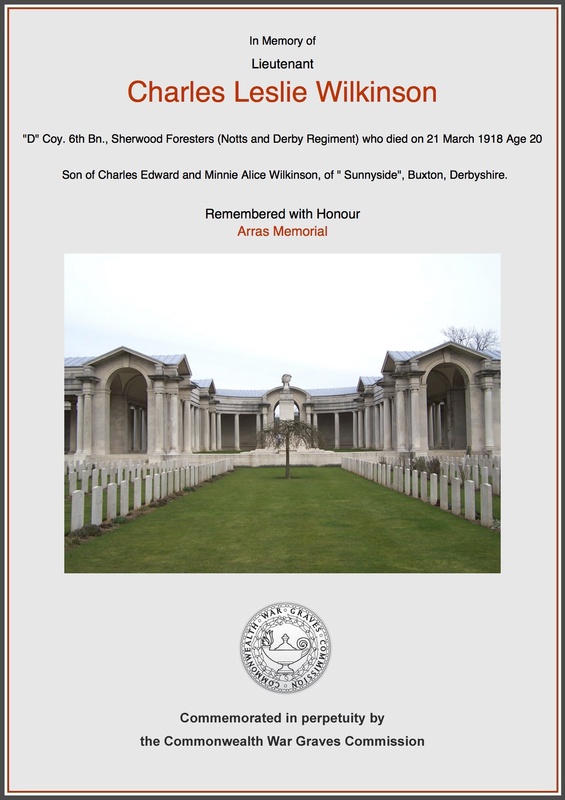 Percy is also remembered on the RAMC in The Great War website. Born: Owen was born at Glynucha, Langelynin, Caernarvonshire, Wales in the J/A/S 1885 Vol 11b Page 513. He was the son of William and Grace Elizabeth Williams. 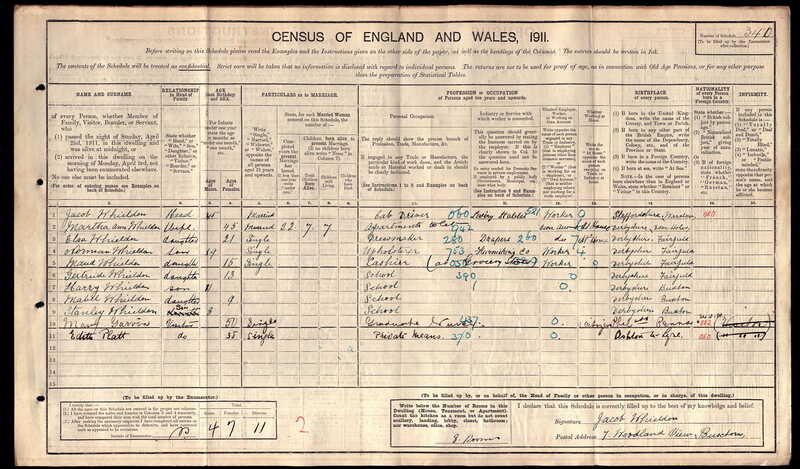 1891 Census: Owen had an older brother, William John, a younger brother Robert Llewylyn and a younger sister Anne Mary. 1908: Owen married Lois Norton at St James, Buxton on Christmas Eve. In 1909 the couple had a little girl Edith. 1911Census: Living Mainfields Bakewell aged 26yrs working as a Gardener by now they had another daughter Grace born in February. 1911 Census, living in Bakewell with wife & children working as Gardener. 1913: The couple were now living in Buxton at 3 West View, Queens Road and now had a son Owen Jnr. 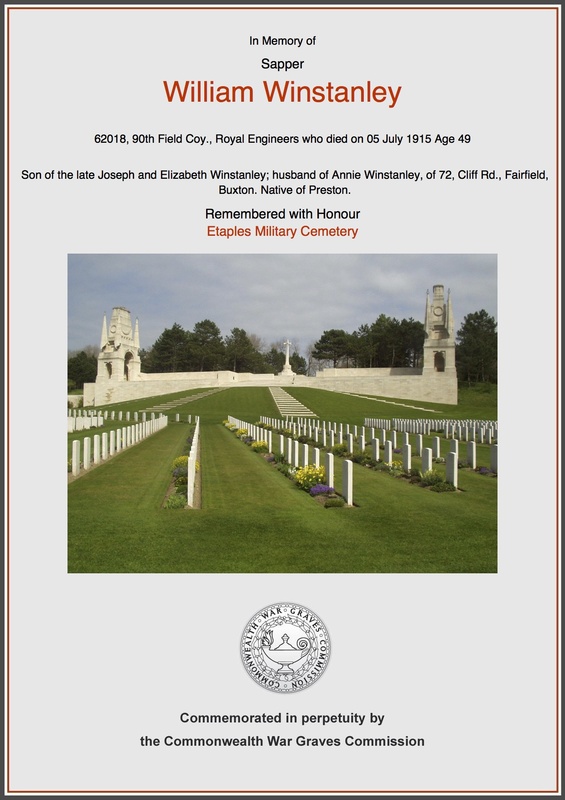 William was born in 1880 at Birkdale, Southport, Lancashire the son of James & Elizabeth Winstanley (James his father is incorrectly named as Joseph on the CWWG Certificate). The family were living at 65 Chester Road, Preston. 1900 saw Williams marriage to Annie Palfryman on the 16th May 1900 @ Buxton. Annie was a native of Biggin. 1901 Census: Living @ 33 New High Street, Fairfield. The couple had now had their first child William Turner Winstanley. 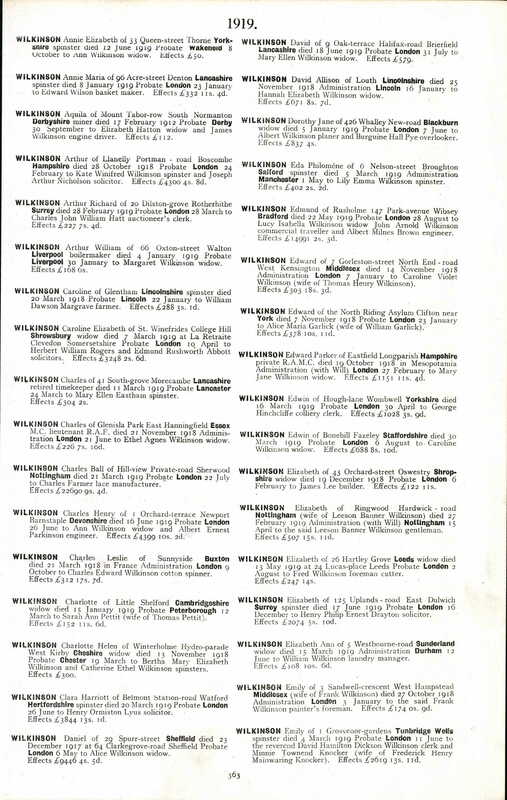 1911 Census: Living @ 33 New High Street. Fairfield. James & Annie now have 2 daughters Margaret (1903) & Isobel (1908). Williams occupation is as an Electric Wireman. William had been employed by W R Sanders & Company. 1915: William enlisted on the 6th January, in Buxton, following his enlistment wife Annie and the children moved to 72 Cliff Road, Fairfield. Williams records show he was 36yrs 6mths old on enlistment, he was a Proficient Electrician. 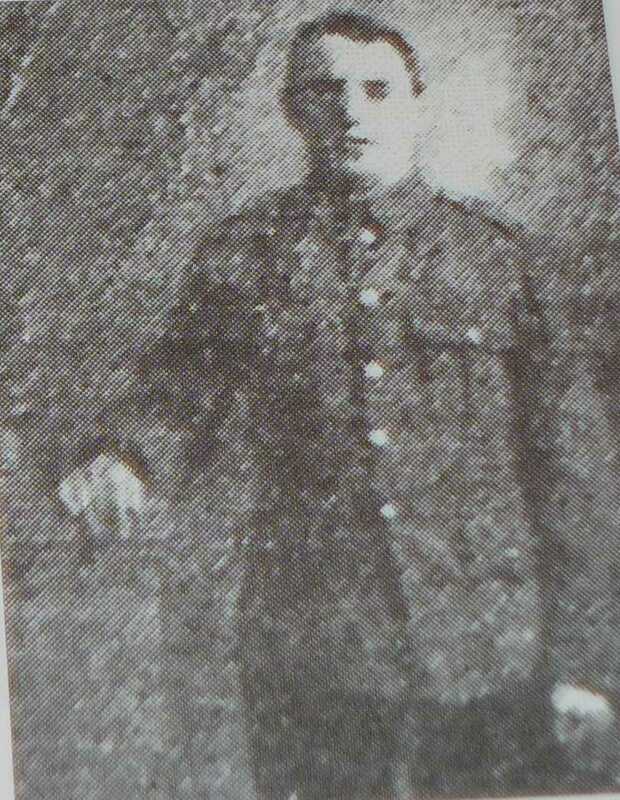 He was quickly transferred to Chatham and following training embarked for France on 12th May 1915 arriving the following day, 13th May 1915 in under 2 months William had died on the 5th July 1915 after contracting Typhoid. 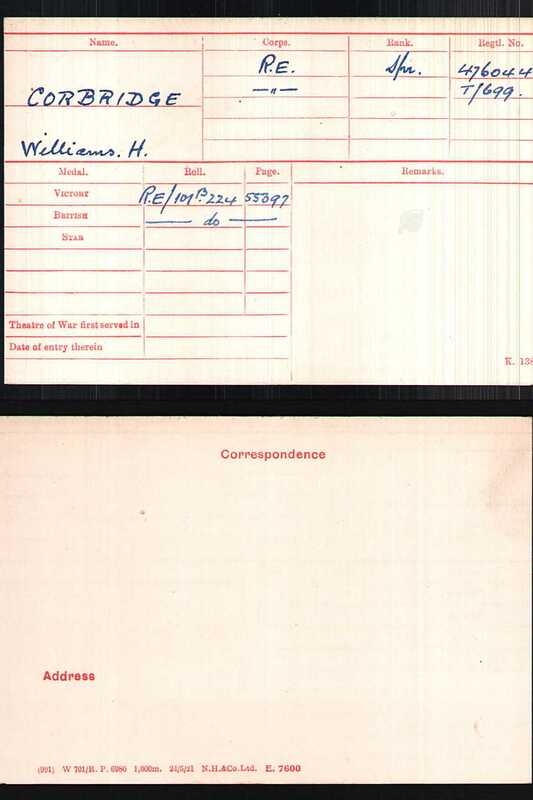 In total William had served 181 days. 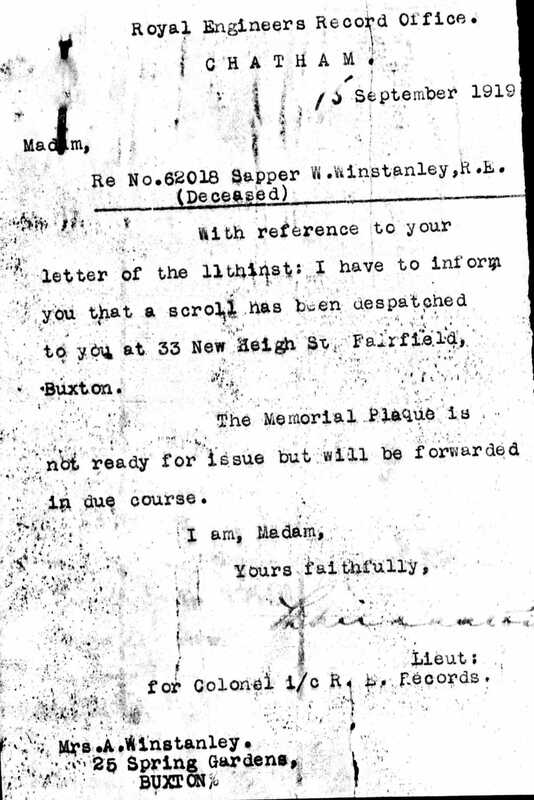 His wife Annie had taken work at Fleetwood Cafe in Spring Gardens & using their headed note paper she wrote a dignified letter requesting her late husbands medals. 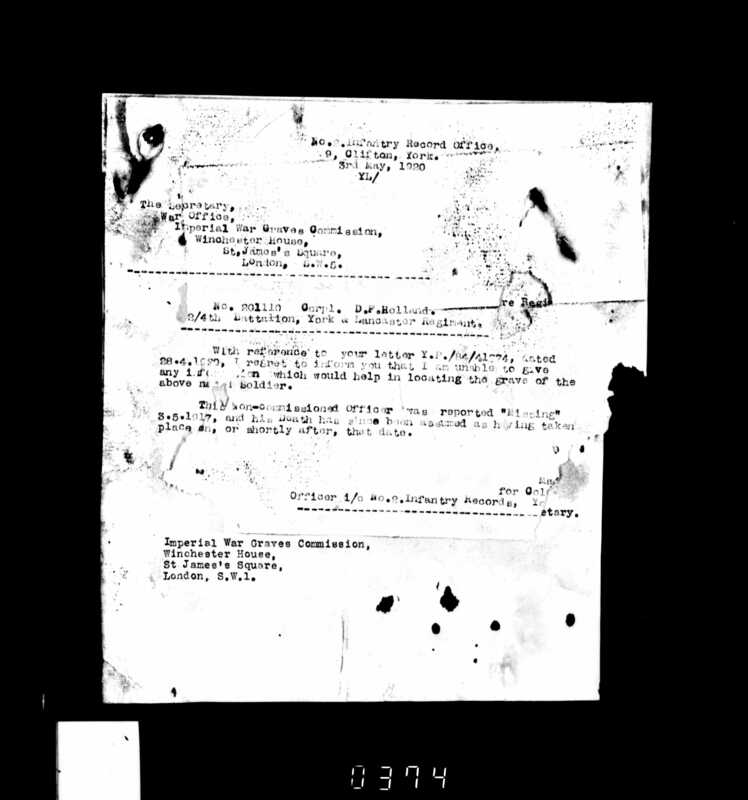 Annie’s letter requesting Williams Medals. Born: 22nd June 1897 the son of Charles Edward & Minnie Alice Wilkinson, Charles was baptised 19th July at St Peters Fairfield. 1901 Census: Aged 3yrs living at Underwood Manchester Road Buxton. 1911 Census: Aged 13yrs Student away at Haileybury College Hertfordshire. Parents living at Ardean, Marlborough Rd Buxton. 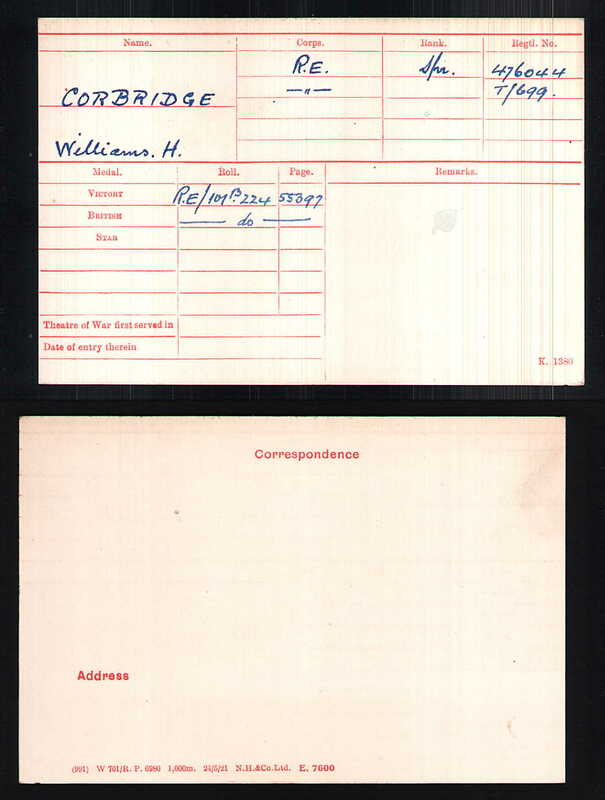 1918 Probate: France Charles left £312 17s 7d to his Father Charles Edward Wilkinson. Arras Memorial 2014 (Bay 7). Born: 2nd December 1891, St Peters, Fairfield, baptised 7th February 1892, the son of Jacob & Martha Ann the family were living at Marlow Street, Fairfield, Buxton. 1896: Norman started school at North Road on the 13th April, the families address was 1 Marlow Street, Fairfield. 1901 Census: Living @ 7 Woodland View aged 9yrs, Norman had an older sister Elsa, 2 younger sisters Maud, Gertrude & a younger brother Harry. 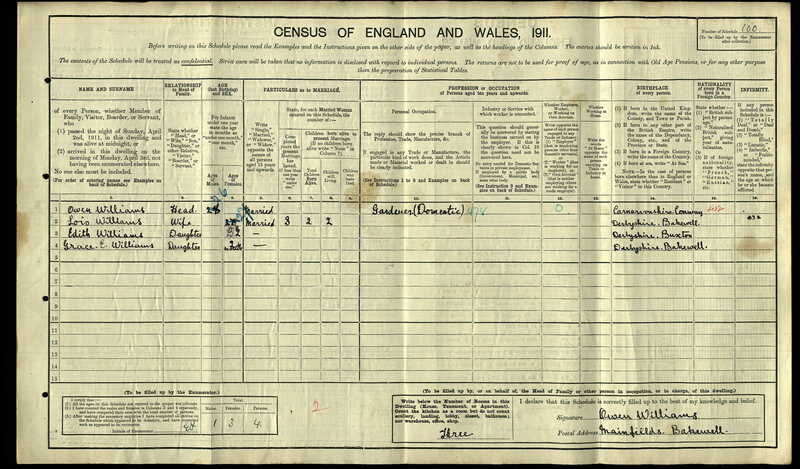 1911 Census: Living @ 7 Woodland View aged 19yrswa, Norman was working as an Upholsterer he now had 2 more siblings Mabel & Stanley. 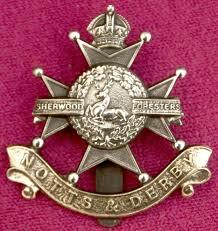 Norman was employed by E C Stott & Co. Ltd.
1916: Norman married Jane Burdy Poulie J/A/S Qtr.